The Harris DMR TP9300 series portable is compact and feature-rich, delivering reliable mission-critical communications for first responders in demanding environments. 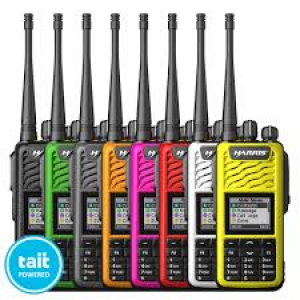 Safety and operational effectiveness are enhanced with TP9300 capabilities including internal GPS for location services over conventional or trunked networks, and Bluetooth wireless technology for accessory connectivity. The TP9300 is built Ruggedized for hazardous scenarios, meeting IP68 sealing and shock absorbing impact-protected corners.